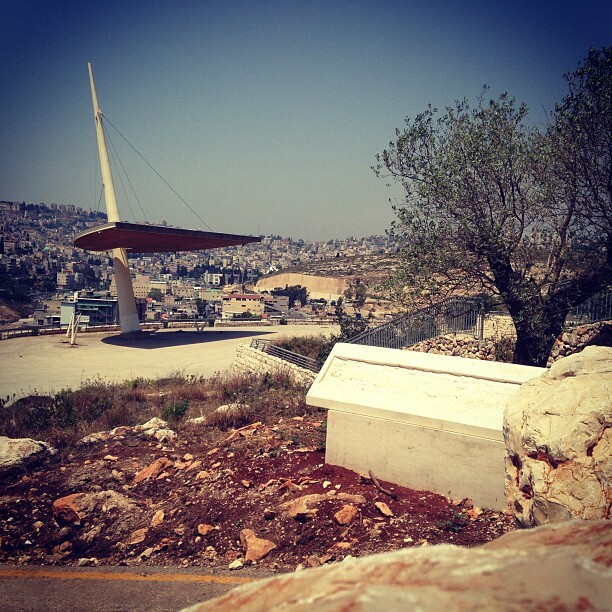 It is believed to be the site of the Rejection of Jesus described in Luke 4:29-30 - The people of Nazareth, not accepting Jesus as Messiah tried to push him from the mountain, but "he passed through the midst of them and went away." Archaeological excavations in the Qafzeh Cave in the mountain found human remains, whose estimated age is 90,000 years old. Those humans were buried properly. Pottery found in the site and other findings indicate that the place was used for residence as well as for burial. 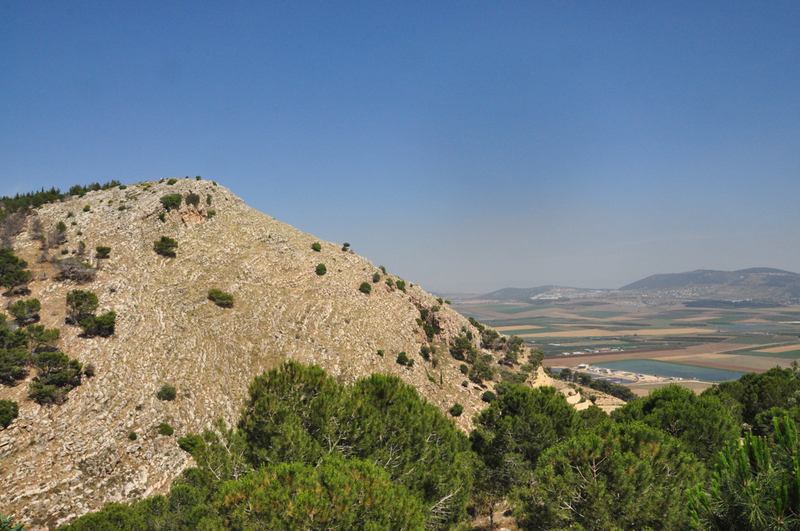 During the 20th century the mountain was used as a quarry, now abandoned. Highway 60 goes through a tunnel dug in the mountain in the site of the old quarry, connecting Afula and Jezreel Valley (Arabic - Marj Ibn Amer) directly to Nazareth. 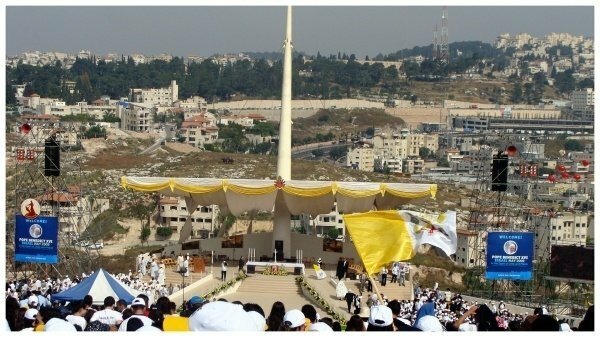 In 2009 Pope Benedictus XVI gave a mass on the mountain, during his visit to Israel. 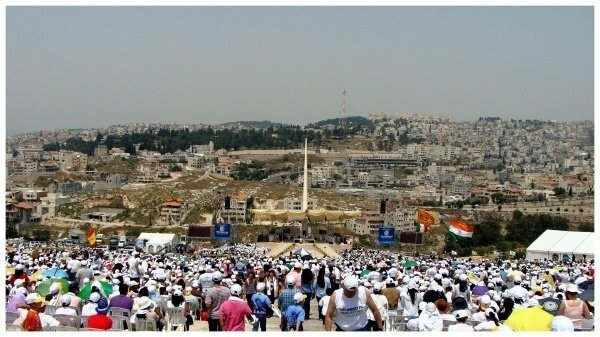 40,000 people participated in the mass. 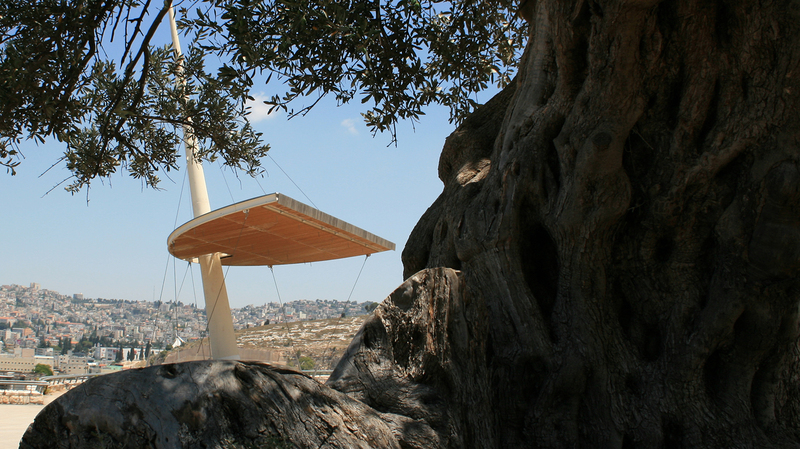 If you are in Nazareth then you might as well take a drive up to see the view. Looks out to the valley below an nice view of Nazareth. "a little walk to amazing lookouy"